Hill Top Contemporary With Great Outdoor Living Spaces. 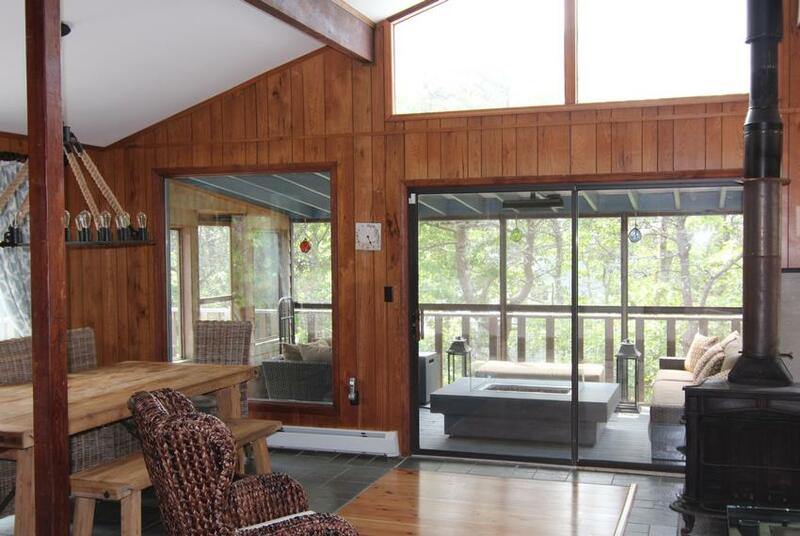 Beautifully decorated contemporary upside down home on a private 1/2 acre wooded lot with a view of Cape Cod Bay from the roofdeck. 5 Bedrooms with 3 Full Baths. Spacious with lots of light. The Kitchen & Living area open on to the deck and the screened in porch. There is one large window air conditioner on the main level. 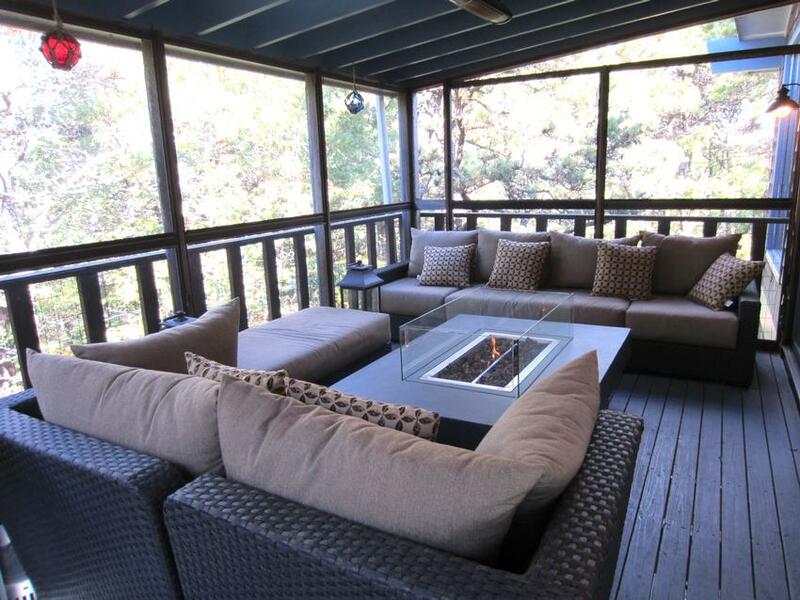 Nice outdoor living spaces with furnished decks at all levels. Beautiful screened in porch off the living room with a fire table. Lounge on the comfortable porch sofas during the day or evening reading a book, catching up with family and friends or relaxing to the glow of the flickering fire table. Weber gas grill on deck adjacent to the kitchen. 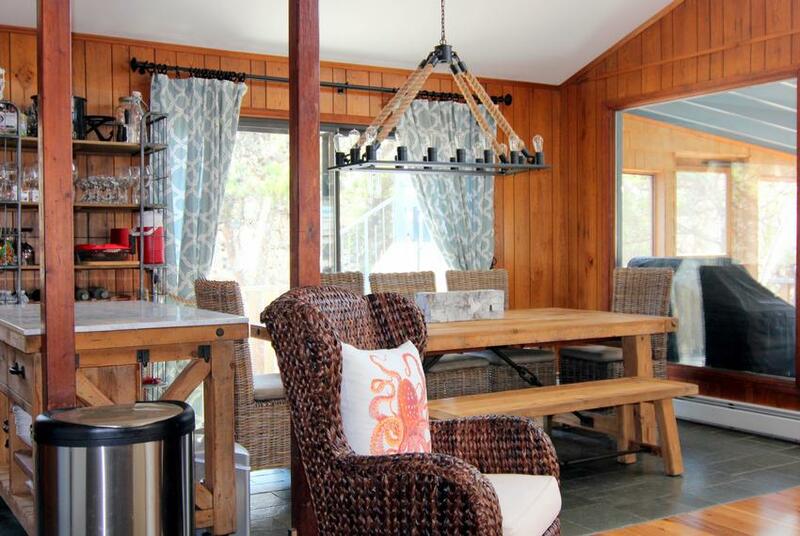 The roof deck is furnished with comfortable outdoor furniture for relaxing while enjoying distant panoramic views of Cape Cod Bay. Perfect for sunbathing, watching sunsets or star gazing in the evening. The spiral staircase and roof deck require adult supervision of children. Expansive lower level deck with comfortable outdoor furniture right off the den with comfortable outdoor sofa and chairs. New outdoor shower enclosure with hot & cold water adjacent to the lower level deck. The master bedroom with a king bed is located on the main upper level with a private full bath, air conditioning unit, ceiling fan, 45 inch TV, Bose stereo unit and private deck. Spacious mezzanine level bedroom with a queen bed, ceiling fan, 40 inch TV, Bose stereo unit and private deck. On the first floor there is a den along with three bedrooms. The den has an air conditioning unit, 55 inch TV and Bose stereo unit. The three bedrooms each have a ceiling fan: one bedroom with a queen bed, second bedroom with two double beds and third bedroom with a double bed. 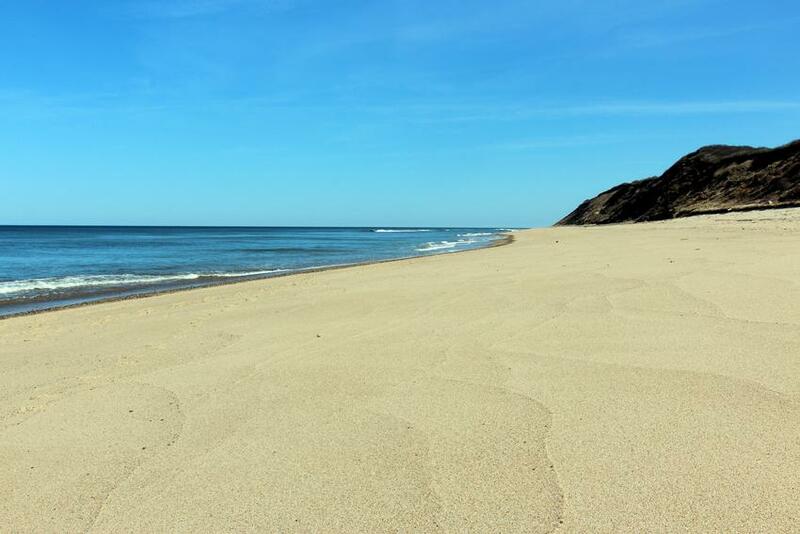 Located in a quiet neighborhood with a short drive to Cold Storage Beach, Coast Guard Beach and Head of The Meadow. Weber gas grill and new outdoor shower enclosure with hot & cold water. 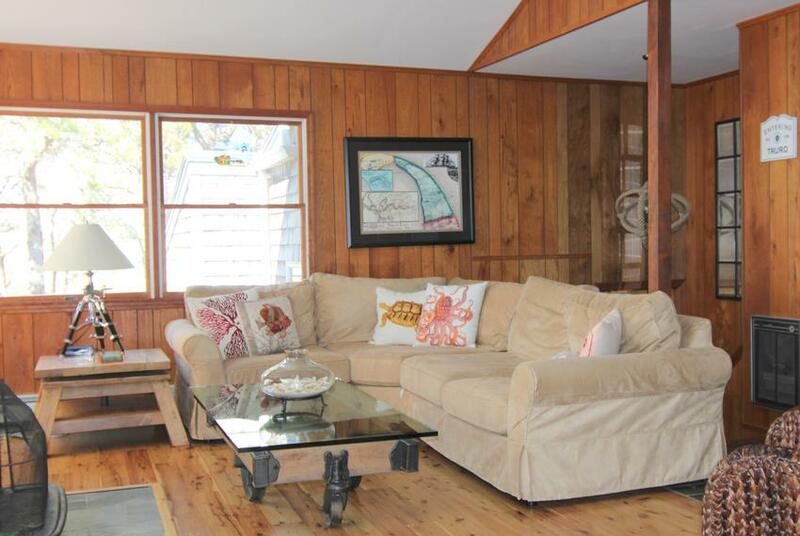 A bright spacious vacation home with nice furnishings in a great location. 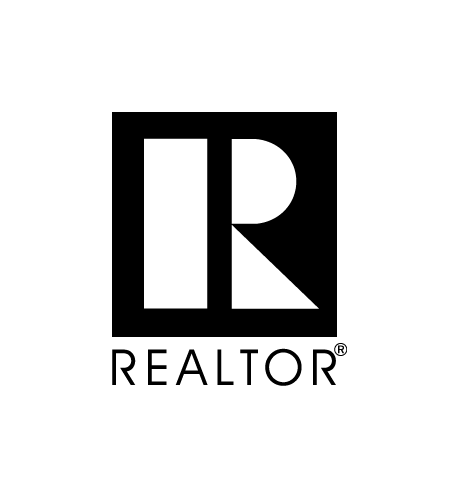 Last Available Summer of 2019 Weeks. Beginning on Saturday: 7/6, 7/20 & 8/17.